Eastern National offers custom product development services to its partners. 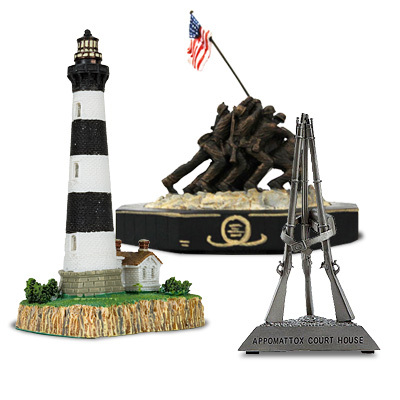 Exclusive merchandise, including apparel, replicas, educational and interpretive products, and publications are developed by our experienced team, according to our partners’ specifications. Branding, logo design, and marketing services are also available to our partners. The sky’s the limit! Our relationships with over 5,000 vendors allow us to source domestically and locally made products, enhancing visitor experiences at our sites. Customize it! Would you like to see your site’s name on our branded or logoed merchandise? No problem! Contact us for more information. 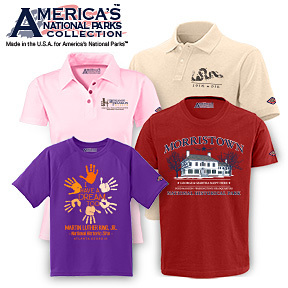 Our America’s National Parks Collection™ apparel, which is made in the USA, and can be custom designed to fit into the specific needs of any site. In-house design services are available for apparel sold at our sites. We offer a variety of options to our partners, including tee shirts for men, women, and kids, hoodies, outerwear, hats, and much more. Eastern National can produce custom-made items featuring your site’s theme. From nature, to seashores, to history, and beyond, we’ll work with you to create must-have products for visitors to your site. Contact us for more information or to learn more about our Product Development services.